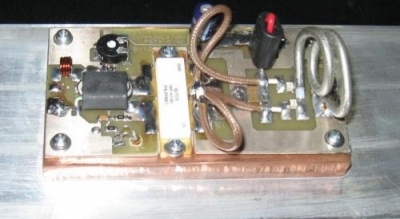 Designed for FM radio transmitters, this amplifier uses a single BLF578 push-pull transistor to produce 800 watts!!! * Pout 800W with a 2.5 watt input. * Low distortion Class B push-pull. * Power requirements 22.5 to 24 ADC 800W out at 43V.